In the last 2 days, I participated in Startup Asia 2014 Hackathon. I joined the Chevrolet Challenge and became a Man U fan for a moment, hoping to win their prize of a trip to Old Trafford! 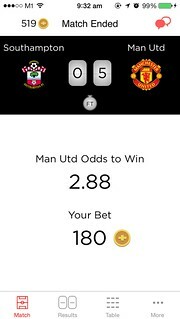 But I am proud to introduce Football+, an app for Man U fans to bet on (only) Man U games. The twist is that the game use virtual “chevy coins”, which they will be able to redeem prizes from Chevrolet at the end of the season (in your dream). 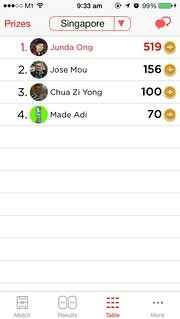 Chevrolet tagline is Find New Roads, hence I created a new positive betting game, that hopefully can make punters stay away from gambling (with real money), yet continue to enjoy the excitement from the football game.